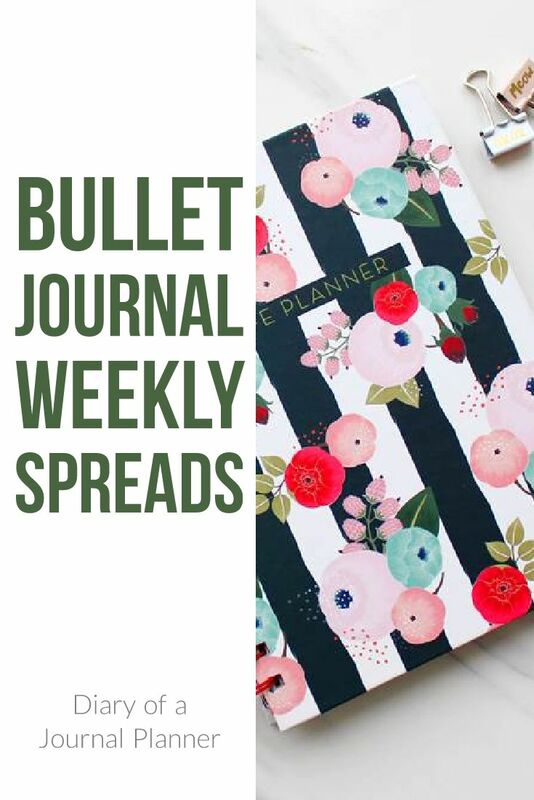 Learn what a bullet journal weekly spread is and find many page ideas for you to get inspired! 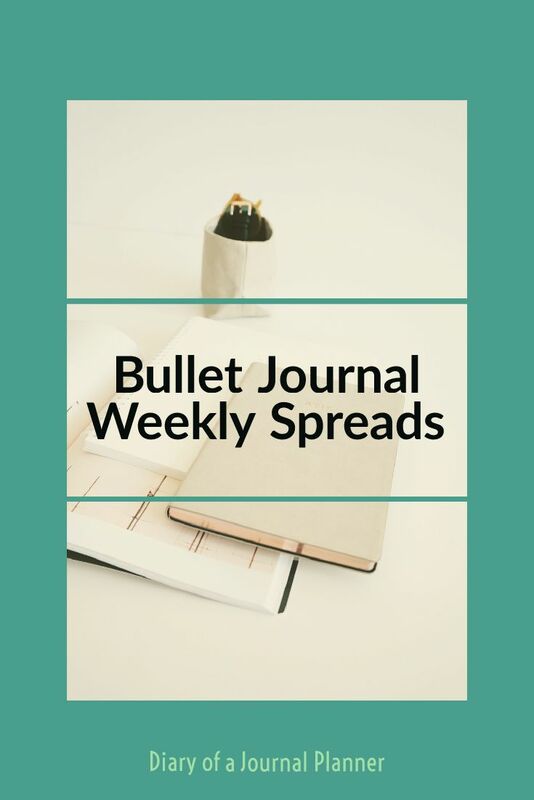 The bullet journal weekly spread or weekly log is the most common way to log your entries in your journal. Even if you are a big fan of dailies, many people see the advantage of also having a weekly spread in the bullet journal. Unlikely the monthly spreads which is used for a general overview of the entire month, a weekly spread gives you the opportunity to add more entries and makes it easy to migrate tasks. 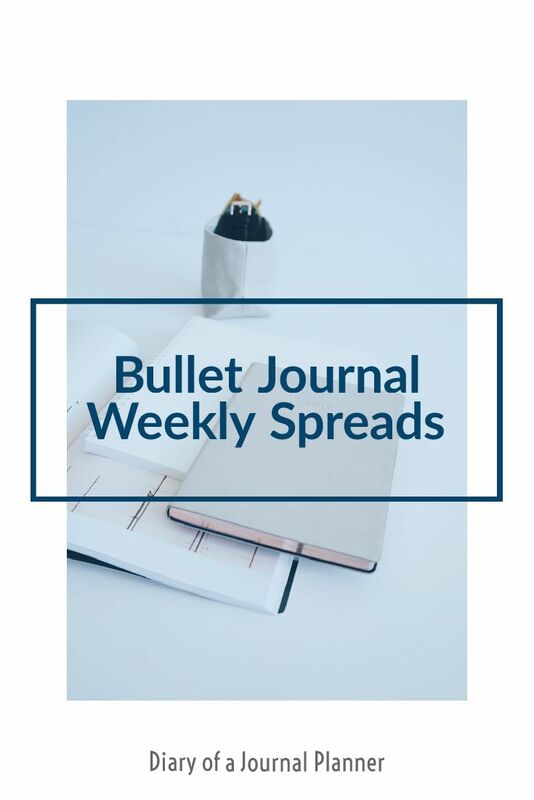 There are just about an infinite ways that you can set your bullet journal weekly spreads, that depends on your personal preferences and how much you need to log. This might vary throughout the year. If you are just getting started and unsure what bullet journal weekly layout is best for you, I am here to give some ideas to inspire you! So read on for all the amazing bujo weekly layout shown below. 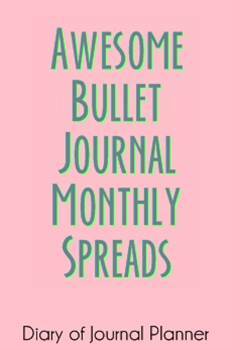 Check out our latest Bullet Journal articles here! 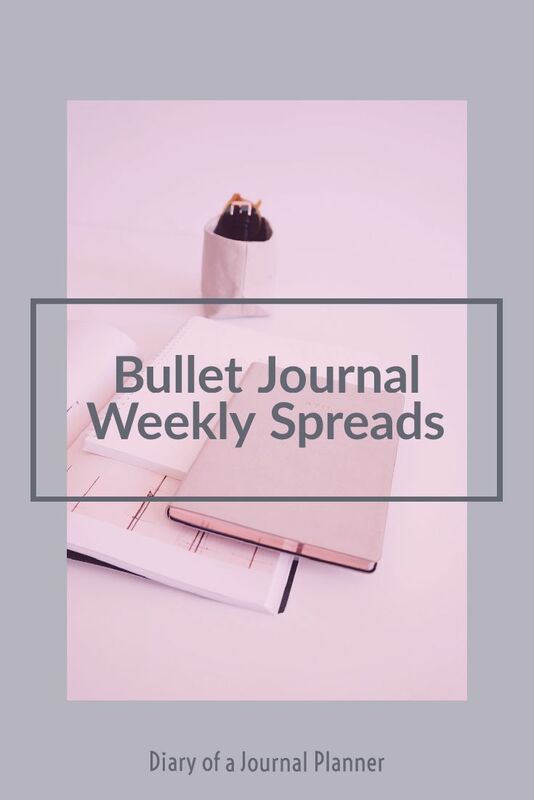 Bullet Journal Weekly Spreads – You are here! 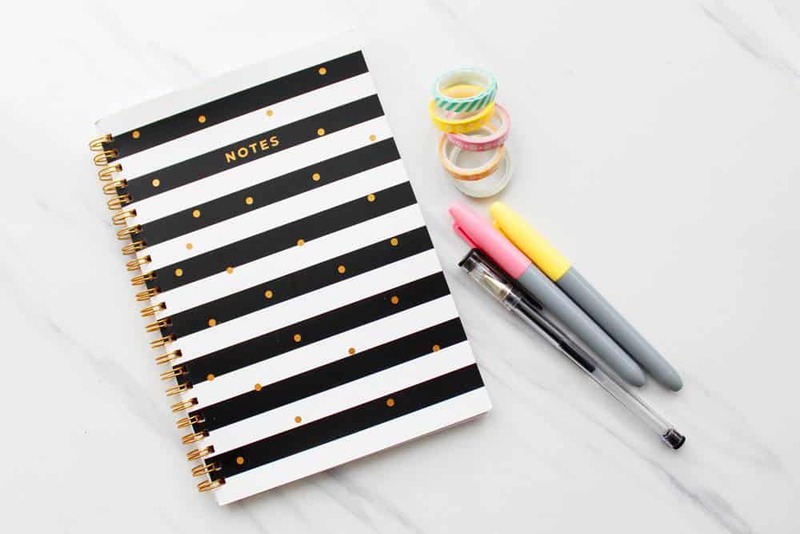 Weeklies are journal pages that include a section for each day where you add your ongoing task log, to-do lists, notes, weekly trackers, an ongoing task log and anything else you need for the week. It is similar to the monthly spread but gives an overview of the week ahead. In the weekly is how you can use rapid logging to track what tasks you have done and what needs to be migrated or cancelled. In the bullet journal community we use the words weekly and daily almost interchangeable. A daily and weekly spread are both a layout where you add your tasks for the day, complete them and add notes about a day. The difference is how the layout looks like. Weeklies are generally a one or two page spread that shows the whole week, either divided in boxes or columns and rows. Dailies are usually one page and only focus on that one day. You can use either weekly or daily or both, it all depends on how busy your week is or how much you want to write in your journal. 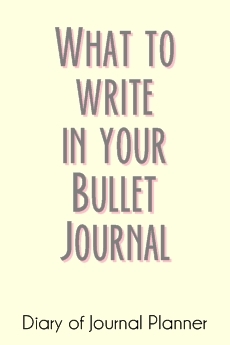 I use daily only when I do journaling in my bullet journal but it is all up to you! Click here to learn more about dailies and see inspiration pages! Impossible not to love these colorful weekly planner ideas. If you are feeling artistic, check out the ideas below to get inspired for your next journal weekly log. I love a little bit of color on my bullet journal weekly setup. On the other hand, if you prefer a clean looking spread to work with, then these minimalist looking planner weekly spread will be so right for you! If you are not looking for a complete minimalist looking but also don’t feel like putting too much time and creativity to create colorful spreads, then these simple spreads ideas might be the right ones for you. These spreads are a great compromise if you like a bit of color but don’t have time or skills to turn your weekly planner spread into a piece of art. If you are feeling artistic, check out our creative journal articles here! Some planners need only one page for their weekly logging. If that is the case for you, here are some one page weekly layout ideas that you can try as well. I personally prefer using separate page for other collections such as habit tracker, mood tracker and meal planning. However, if you enjoy having all the info easily accessible in your weekly planner layout then these templates below are the perfect examples for you to try. 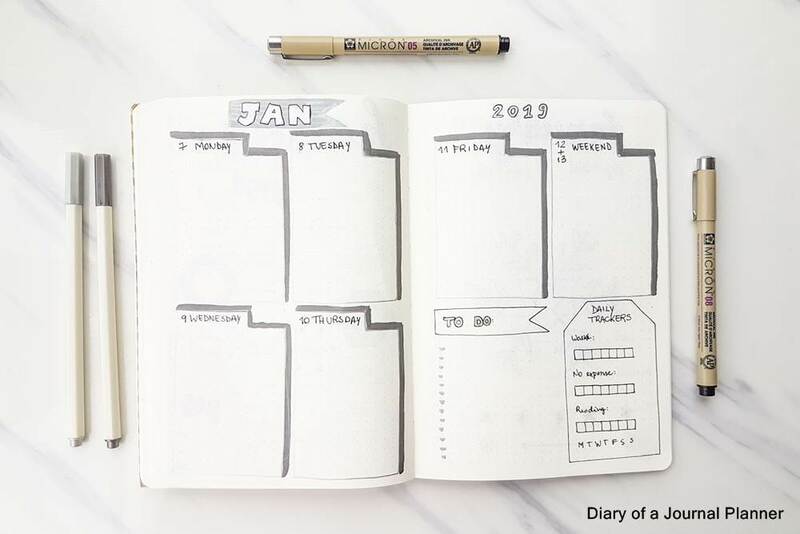 These spreads are the ultimate bullet journal weekly planning pages. Here you can add all of your trackers, birthday notes, meal planning, weather and of course your task entries. I hope that these inspirational bullet journal weekly templates will help you find the perfect weekly spread layout that works best for you. Tell me, what planner weekly calendar layout you like most? So many astounding weekly spreads for inspiration. I used a simple version of the first picture spread shown (from a week in April) I think, and am using it for the week of Dec 17 to Dec 23, 2018. I simplified what was there, and even though it’s very basic, I am pleased with how it turned out. So great to hear you got some inspiration from the post. Sometimes I find it is easier to develop a good Bullet Journaling habit with a simple spread. We have just started a new facebook page here if you feel like you would like to share a picture with us? We would love to see your spread. 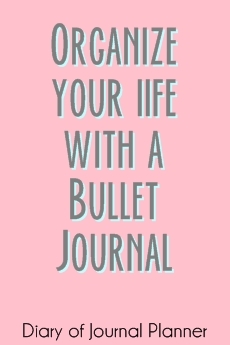 We hope to build a gorgeous Bullet Journal community where we share ideas and inspiration. Thank you for taking the time to get in touch.